David Ganz is Visiting Professor of Palaeography at the University of Notre Dame and a Research Associate of Darwin College Cambridge. Malcolm Parkes, FSA, died on 10 May 2013 at the age of eighty-three. He had been a Fellow of Keble College from 1965 to 1997, teaching Old and Middle English. He also taught palaeography to generations of Oxford graduate students, in recognition of which he was appointed to a personal Chair in Palaeography at the University. A student of Neil Ker, the finest English manuscript scholar since Humfrey Wanley (first keeper of the Harley Collection, now at the British Library, in the early eighteenth century), Parkes’ thesis was on the development of Secretary script and drawing on it, in 1969 he wrote the authoritative account of English cursive book hands. His terminology and analysis have shaped countless editions of Middle English texts. His book Pause and Effect: An Introduction to the History of Punctuation in the West, was a superbly lucid treatment of a standard feature of all manuscripts that had seldom been explored, memorable for its plates showing how the same passage was punctuated in different ways at different dates and how that revealed the various ways in which it was understood. His Lyell lecture series entitled ‘“Their hands before our eyes”: a closer look at scribes’, not only offered a substantial prosopography of English scribes and the manuscripts they copied, it also revealed how palaeography could develop from giving names to different scripts to exploring the process of copying and the ways in which scribes envisioned the scripts which they chose to write. All of his books had exemplary glossaries, demonstrating a precision of terminology derived from a deep understanding of how best to put into words what a palaeographer sees and how he understands it. His distinction between Letter Shape and Letter Form, and his notions of Decorum and Chiaroscuro, offer new and better ways of understanding script. And his lavishly illustrated Catalogue of the Manuscripts of Keble College set a very high standard for the cataloguing of manuscripts. His work with Ian Doyle on the earliest manuscripts of The Canterbury Tales remains a classic, as does his lecture on ‘The Scriptorium of Wearmouth-Jarrow’ and his convincing dating of the Oxford manuscript of the Chanson de Roland (which some French scholars found hard to acknowledge as a book copied in England, and perhaps even in Oxford). His article on Compilatio and Ordinatio set experts on scholastic theology and Chaucer scholars looking at the same manuscripts. But above all he had the gift of the trenchant maxim. His first lectures on punctuation, for example, were titled ‘What’s the Point?’; and his explanation of the Rule of Gregory included the English comic song the Hokey Pokey (‘You put the hair side in, you put the flesh side out, in out in out shake it all about…’) His recognition that scribal discipline depended on a particular sense of monastic discipline, his suggestion that Peter Gumbert’s analysis of ruling could be called ‘The Rake’s Progress’, showed the creative of a master of Gaia Scienza. Where else does one learn ‘It is easy to imitate another’s letter-forms, it is much more difficult to imitate their spaces’? There are many fine anecdotes to be shared. For example how he would talk manuscripts through the night and how he locked himself out of his Volvo (which was large enough to hold a complete set of the Codices Latini Antiquiores) in Reims. He explained to a passing gendarme: “Je suis un maître cambrioleur anglais, formé à Oxford” (I am an English master burglar, trained in Oxford). Best of all is the story of how he once fell asleep in lecture which he was giving, woke rapidly but did not know what the lecture was about, so he leaned over the shoulder of an earnest American student, read the last line of her notes aloud, and carried on. Like all great teachers, he had a sense of the theatre. 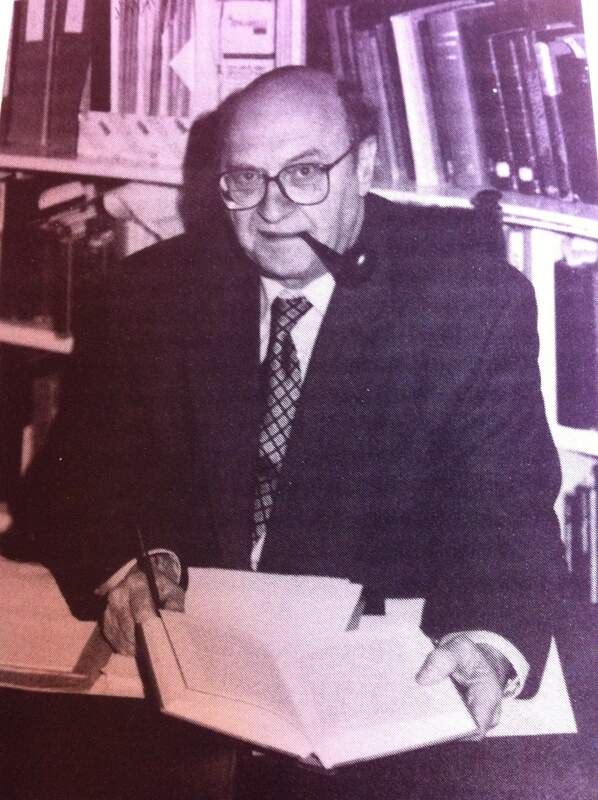 Malcolm had an international reputation and was elected to the Comité international de paléographie latine in 1986 and as a Corresponding Fellow of the Medieval Academy of America in 1992; as visiting Professor, he taught in Konstanz, Minneapolis and Harvard. He was tremendously generous with his time, patiently and carefully helping countless pupils and colleagues to express themselves more clearly and effectively. His work is a reminder that, in the age of digital palaeography and its supposedly scientific advances, there is no substitute for constant contact with manuscripts, and for an ability to do more than describe them. Tables of page sizes may enable us to distinguish books from different centres, but we are entitled to ask why a particular scribe or patron chose a particular format to copy a particular text. Sadly books are for reading, not just for looking at the scripts or the pictures. Never content with descriptive palaeography, Malcolm Parkes asked many new questions and succeeded in answering them in ways that made the study of manuscripts at once more insightful and more exciting. At his funeral a Keble College Book of Hours which he had catalogued lay open on his coffin. Sit sibi terra levis. Postscriptum by Medievalfragments – A commemoration of M.B. Parkes by another scholar, David Rundle (Oxford), can be read here. To get a sense of Parkes’ strengths, scope and eye for detail, read his Robert F. Metzdorf Memorial Lecture (1987) here. A list with many of his publications is found here. This entry was posted in Visiting Bloggers and tagged Insular, Malcolm Parkes, Paleography, Script. Bookmark the permalink.